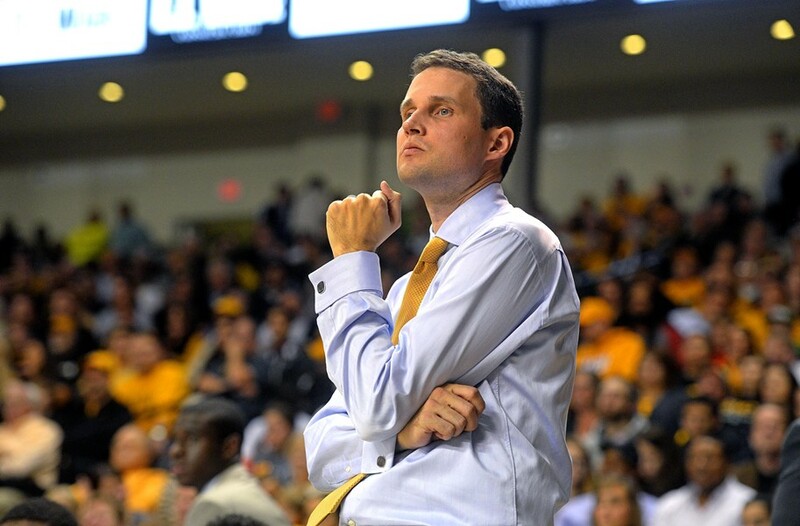 The Analyst: How VCU's Will Wade Uses Discipline and Data to Keep Ram Ball Rolling | Cover Story | Style Weekly - Richmond, VA local news, arts, and events. 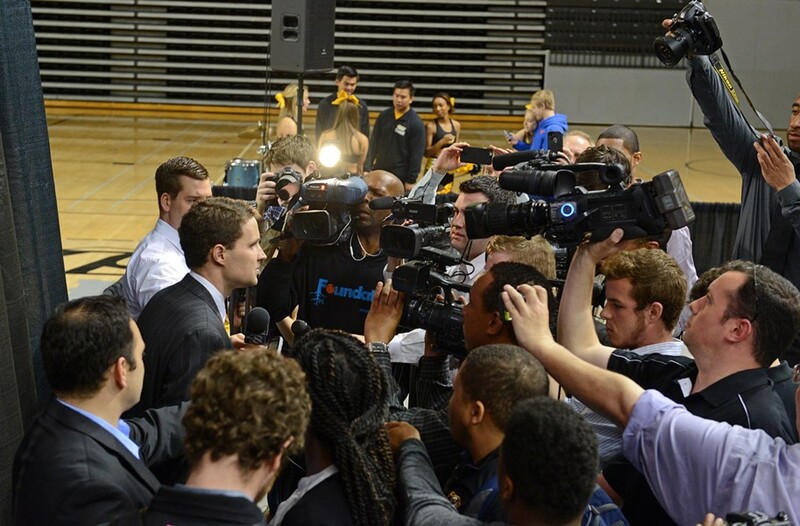 VCU’s new men’s basketball coach doesn’t mind if you think he’s boring. He’s here to win games. Scott Elmquist Virginia Commonwealth University men’s basketball coach Will Wade watches his team play to victory Nov. 13 against Prairie View A&M University. It’s Friday night in New York’s Madison Square Garden. For basketball fans this is hallowed ground, and Virginia Commonwealth University is facing Duke. It’s one of the most winning franchises in all of sports which also makes it one of the most despised. The Blue Devils are headed by hoops royalty: Mike Krzyzewski, a 68-year-old coach and inevitable hall of famer who leads America’s Olympic dream team when not dominating college basketball year after year. The Rams are here with their new coach, Will Wade, a fresh-faced 33-year-old and someone who, as television announcers note during a previous game, might still get carded at lunch. It’s not even fair to call this a matchup of the wily veteran versus the relatively unknown young gun. This is one of the greatest coaches in sports history looking down at a guy with only two years of head coaching under his belt at the University of Tennessee at Chattanooga. Wade’s biggest accomplishment so far may be getting hired by former VCU coach Shaka Smart as an assistant in charge of the team’s disruptive full-court press — an aggressive style of play widely known as “havoc” — and joining that team’s magical Final Four run in 2011, which put a national shine on the university. Any game boils down to players on the court, and in that respect, VCU’s tough team always has a fighting chance. One of its greatest wins came by knocking Duke out of the first round of the NCAA tournament in 2007. But now, its former celebrity coach is gone, carried aloft to the University of Texas and one of the richest athletic programs in the country. In his place stands the lanky Wade with his high-school history teacher vibe, long arms and narrow shoulders. You might assume he’s a former baller, but he’s not. A native of suburban Nashville, Tennessee, Wade is an analytics junkie who worked his way up the basketball ladder starting as a student manager at Clemson University. 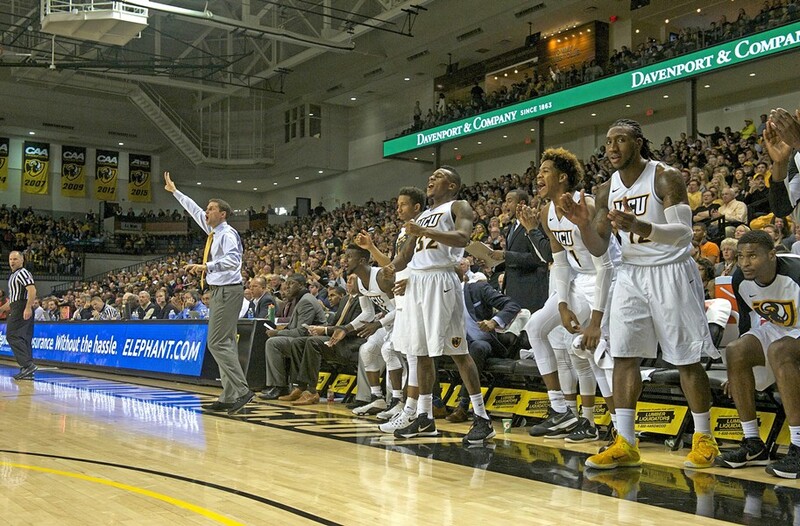 Coach Will Wade directs his team during a lopsided victory over Prairie View A&M University on Nov. 13. Tonight, pacing beneath the bright lights of Madison Square Garden, Wade has the excited look of a wide-eyed fan, lost in the action of a fast-tempo game. He is usually clapping and yelling to his players, offering encouragement or making a point with a referee. Rarely does he take a seat. The man who hired Wade, VCU Athletic Director Ed McLaughlin, is noticing the same thing. The Rams hang tight with Duke much of the game, but begin missing shots in the second half and the Blue Devils escape with a victory. Coach K. and Wade exchange smiles and talk long after the horn sounds. Asked later what was shared, Wade says he prefers to keep it between them. 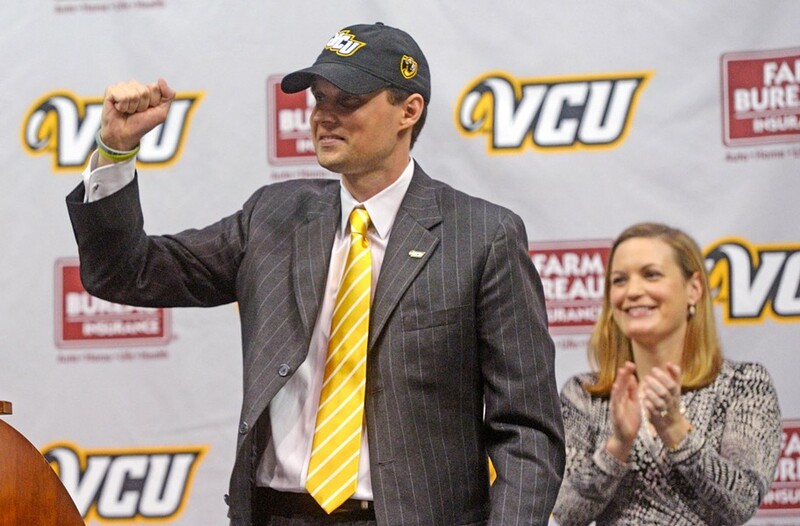 Several coaches have used the VCU job as a stepping-stone to higher-profile programs. But administrators are betting that Wade will not only continue the program’s winning ways but also stick around a while. They’re paying him a million dollars a year for the next five years to make sure he’s comfortable — not to mention a new $25 million practice facility, paid mostly with private funds raised during a lengthy campaign, which opened in the fall. “Havoc still lives here,” McLaughlin says without hesitation — a common refrain that Wade makes sure to stress on his first big media day. Those hot-selling T-shirts and other merchandising exploits won’t be going away, that much is clear. For his players, Coach Wade is a new mentor in their lives, a father figure of sorts for a tightknit group still reeling from the spring departure of its famous coach and close friend. It’s a responsibility Wade takes with the utmost seriousness — traveling to get to know many of the newer players, their families and inner circles as best he can. This is a group of young men with their own backstories and complex personal hurdles, which their coach strives to help them manage and improve as they ready themselves for the real world. In other words: no pressure. No pressure at all. Wade meets with fans and well-wishers at the Buffalo Wild Wings last month in Short Pump before a taping of his coach’s show, which airs on ESPN-AM 950. 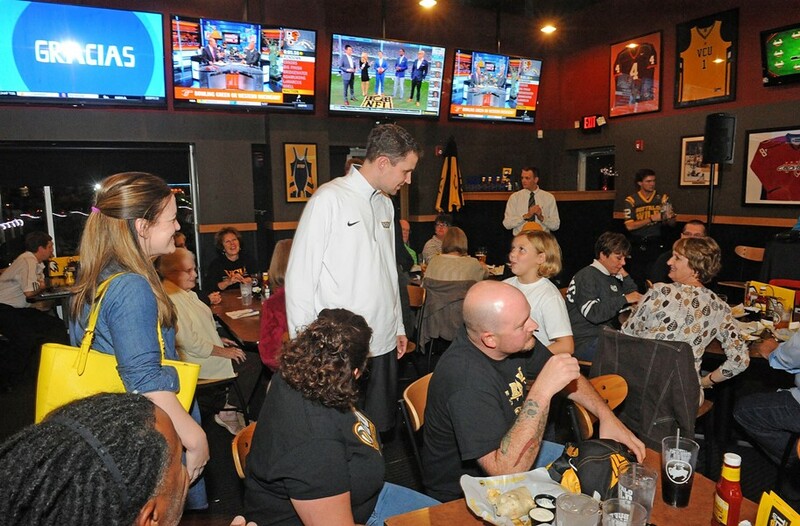 A week before the Duke game, the young coach wades through a sea of older fans and boosters gathered at the Buffalo Wild Wings in Short Pump. He’s all smiles, shaking hands and giving high-fives before heading to the podium to join radio personality Greg Burton for the first episode of his coach’s show, which airs on ESPN 950. For the next hour they talk about players, recruiting, rule changes and games ahead while the packed room occasionally breaks into applause between munching on wings and celery. McLaughlin watches from the back of the room like a proud parent. He can still recall his first day at VCU back in 2012, walking into the basketball offices at 5:30 a.m. in the middle of August. That’s the main difference between being an assistant and a head coach, he says: the number of decisions. Already this season, adjustments have come fast. Before the first game was played, Wade received a late notice from the NCAA and suddenly had to deal with a freshman player ruled a partial academic qualifier who now must redshirt this season, meaning he can practice but not play in games. It’s one of a hundred things that can go wrong before a season officially begins. An average day goes like this: After his early morning routine, Wade heads to the Siegel Center to watch video clips of previous games and prepare his practice notes. At 10, there’s a daily staff meeting with his assistant coaches to go through their plan of attack. Then they watch more film, maybe meet with a couple of players on issues that may have arisen on court or off. Afternoon practice is at 1:30. And then Wade returns, watches more film and makes recruiting calls. Then, you guessed it: He watches more film again until 9 or 10 at night. Then he goes home and repeats. In person, Wade uses the phrase “cut-and-dry” a lot. It’s how he comes across as well: a no-nonsense, just the facts, I’m here to work, get better and win games coach. Junior forward Mo Alie-Cox, a fan favorite, says the transition for the players was difficult at first, mostly because of an increased emphasis on strength and conditioning and overall organization. Point guard JeQuan Lewis gets advice from Wade, who’s known for his passionate intensity during games and for his scientific approach to basketball off the court. A new area of focus spurred by Wade involves enhanced biometric screening of players, or obsessively monitoring health data points. This allows the coaches to improve conditioning and better understand how hard a player is pushing himself. In practice, coaches track a player’s every movement with GPS, using an accelerometer-based metric for body load and following heart rates to see who’s working the hardest and who might need to pick things up. Other items tracked include player sleep patterns, what they eat, their caloric burn and resting heart rates. When the team is on the road, room temperatures are always set to 68 degrees, the best for sleeping. Hypoallergenic pillows must be used and shades are always drawn. Wade wants things down to a science. The coach clearly thinks a key to his success will come from learning the most he can about the players. He goes to lunch with them, texts with them — to an outsider it seems like Wade is another one of their friends. It’s something he picked up from Smart, one of the first coaches to make the coach-player relationship a cornerstone of the program, according to Radford head coach Mike Jones, who was an assistant under Smart alongside Wade. Wade isn’t the first coach to care about his players, but his level of communication with them is some next-level stuff. “The difference is he’s in touch with someone — a player, a recruit, or a coach — I’d say 20 hours out of the day,” says Wade’s wife, Lauren. For some players, Alie-Cox acknowledges, it can be harder to trust a coach who didn’t play basketball in college. “Coach Wade, man, he’s not that athletic. He doesn’t think about lifting weights,” Alie-Cox says. “But when we went to Fort A.P. Hill, he did all the Navy SEAL drills with the rest of the players. Jumping over logs — he did everything we did to show he would go to war with us. “He just didn’t look as good doing it,” he adds, laughing. After the Wild Wings radio show, fans and season ticketholders line up to meet the new coach and wish him luck. Wade is an A-list celeb for Ram Nation. One fan in attendance says he fully expects to see VCU back at No. 1 — we’re assuming in the Atlantic 10 Conference in which it plays. An older man, whose father was a college coach, tells Wade in a deadpan voice that he’d like to see him show more enthusiasm. The coach looks stunned at first, and then smiles. “Well I almost got my first technical [foul] the other night,” he says. After the announcement of his hiring April 7, Wade answers questions from a horde of media. 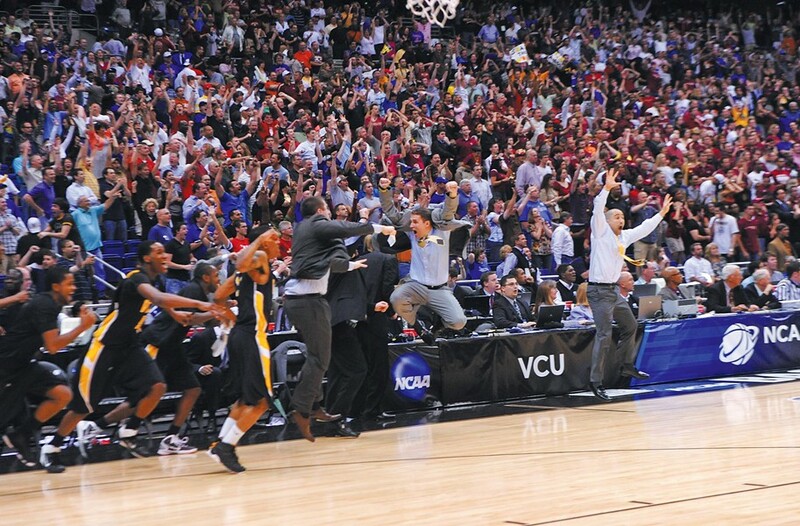 He replaced his friend, beloved coach Shaka Smart, who helped put VCU basketball on the national map. Wade’s ability to empathize and relate to his players, many of whom come from vastly different backgrounds, is something he learned from his father, Frank, who works as an insurance agent in the small suburb of Oak Hill outside of Nashville. His father made sure to take Wade and his brother, Jay, on many of his nonprofit community-service outings, often in poor neighborhoods. Another lesson that rubbed off was his father’s habit of always rising early in the morning. “I was always the first person at high school,” Wade recalls. His mother, Margaret “Sissy” Wade, recently retired from her job as principal of Franklin Road Academy, where Wade attended school. She was both a basketball and tennis coach for years and says she had some pretty clear early indications her son wanted to do something in sports. Wade grew up mostly watching the local Vanderbilt University games because his family had season tickets. A cousin, Geep Wade, played football at UT Chattanooga and now serves as an offensive line coach at Middle Tennessee State. Wade’s mother coached her son in basketball some in middle-school — the only time he really played the game. Wade’s path to coaching began during his college tenure at Clemson University, where he was a student manager for Larry Shyatt, now head coach at Wyoming, and Clemson coach Oliver Purnell. Wade’s initial plan was to be a high-school teacher and coach high-school sports like his mom. But when he graduated from Clemson in 2004, Purnell asked him to stick around to be a graduate assistant and later director of basketball operations in 2006. He was preparing for life as a possible high-school geography teacher at Daniel High School in Central, South Carolina. “Will survived on peanut-butter sandwiches while he was teaching with me,” says high-school teacher Deanie Shonka, with whom Wade worked as a student teacher. Shonka says the students responded well to the young teacher and remember his commitment to being prepared. “But his heart was in the sports arena, rather than the classroom,” Shonka says, noting that he successfully completed his degree in education to have something to fall back on should he need it. Wade celebrates during his tenure as assistant coach with the Rams, after a win over Kansas sent the team to the Final Four in 2011. During Wade’s first year as a graduate assistant at Clemson he was assigned to help assistant coach Kevin Nickelberry, now head coach at Howard University. “Nick,” as Wade still calls him, was offered the head coaching job at Hampton University after Wade’s first year, but wasn’t able to hire his friend. “He felt bad about that because I had been pretty helpful to him for a year,” Wade recalls. The situation turned out for the best. In Nickelberry’s place, Clemson hired a young up-and-comer named Shaka Smart. Wade’s friend Nickelberry had grown up with well-known Duke player Tommy Amaker, a Falls Church native. When Amaker, undersized for the NBA, got the head coaching job at Harvard University, his childhood friend suggested that he hire Wade as an assistant, and he wound up being Amaker’s first hire. At Harvard, Wade helped recruit a top 25 class for the program and worked with a young Asian player named Jeremy Lin, who went on to make a splash in the NBA. Wade says the two still occasionally talk, as he does with many former players. Wade was at Harvard for two seasons before Smart offered him the assistant job at VCU. “I think it was out of familiarity with me,” Wade says. “It was comfortable for him.” While an assistant, Wade experienced the Cinderella story of the Rams' storybook Final Four run in 2011. After VCU’s meteoric rise, Wade’s association with the new buzz word “havoc” had other schools calling. Chattanooga made Wade its head coach in 2013, where he posted winning records for two seasons and was named the 2014 Southern Conference coach of the year. Then, surprising everyone, Smart’s job at VCU became open and university officials wanted to keep the hire within the family, or at least the extended one. Wade says the route he took to becoming the team’s head coach was probably harder than the one usually taken by former players turned coaches — such as the past three at VCU, Anthony Grant, Jeff Capel and Smart. Becoming a coach is something of an art form these days. There are even programs like Villa 7, created by former VCU administrators Doc Sander and Mike Ellis, which help give young assistant coaches the skills and networks to move up. Wade rallies the audience at the news conference announcing his hiring, backed by his wife, Lauren. The couple bought a newer house in an old neighborhood near Maymont —which was within the eight-minutes-to-work distance that Wade established. A year ago Wade married his girlfriend, a Vanderbilt graduate student named Lauren Deason (also a sports media undergrad from University of North Carolina) who matched his passion for college sports. Those who know the coach say it was about time. “We used to tease him all the time that he never took enough time away from basketball to meet someone,” Jones recalls. Friends introduced the couple through social media, and they met in person just after the Final Four run at the Siegel Center. They recently bought a newly built house in an old neighborhood near Maymont Park. The community has welcomed them, she says, even though she finds it strange to be a well-known couple. Lauren now works part-time as an editor for the PGA Tour website and for a literacy project at VCU, going to pre-kindergarten and kindergarten classes to help children be prepared. She hopes to start a nonprofit involving education someday, but so far has been busy getting acclimated to her new city. Her biggest advice on her new role came not from Maya Smart, but from Donna Foster, wife of hall of fame women’s basketball coach Jim Foster, the only coach to take four different teams to NCAA tournament. Players come over to the Wades new house for holidays, his wife says, and she got to know them helping out at basketball camp in the summer. Sitting in an empty media room at VCU’s Siegel Center, about to leave for a recruiting trip to North Carolina, Wade says he’s taken a bit from all the coaches he’s worked under to create his own formula. Namely that includes program structuring from Purnell at Clemson, recruiting skills from Harvard with Amaker and dealing with players from Smart at VCU. We’re watching the final seconds of Valparaiso’s morning game against Rhode Island on an overhead TV. The score is close and Wade predicts what inbounds play Rhode Island is about to run. It happens exactly as he predicts, only the Rhode Island player misses the shot and his team loses. “It’s like you’ve watched some games before,” a media assistant jokes from across the room. You could say the same for Wade’s philosophy that he imparts to his players — it’s one thing to know the formula for success and another to live it. But one thing the public doesn’t understand is what the players go through off the court, he says — the issues he deals with every day. “Sometimes they don’t play well, you want to blame them,” he says. “Well, sometimes it’s something at home too. There are a lot of contributing factors. My job is to find the underlying reason. For Wade, getting a degree and an education are different things. “I think our definition of success here is our players get a degree, get better basketball-wise and develop an uncommon work ethic,” he says. 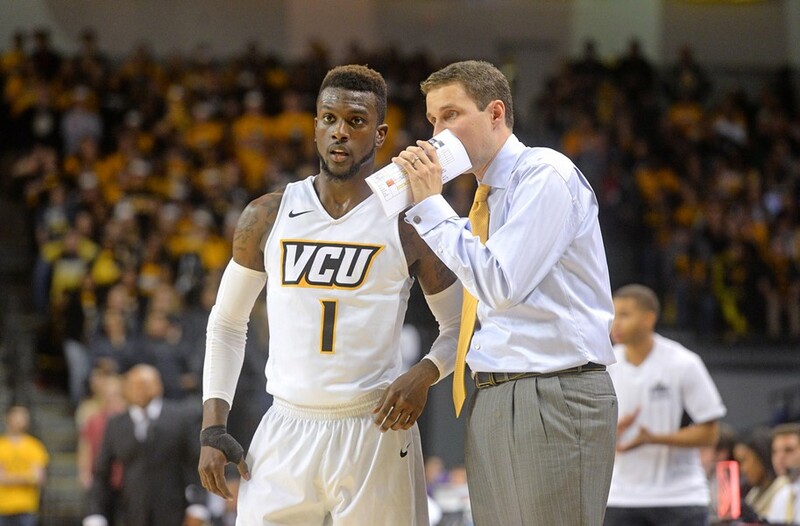 Graduation rates for VCU players have been improving, as they have across college basketball. Every basketball senior has graduated since 2008, according to school officials. The university’s most recent four-year average academic progress rate for men’s basketball is 995 out of 1,000. The four-year average for all of college basketball is 961, and sanctions start if a team’s average drops below 930. But as far as building trust with the players, player Melvin Johnson says he has no personal doubts about Wade. So far the team is 5 and 3 this season. Where would Wade like to see the program in three years?